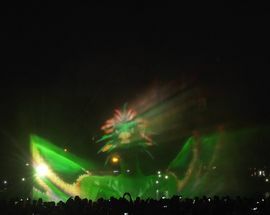 This tourist attraction was opened in May 2011 as part of the city's ongoing attempt to increase its number of cultural and tourist attractions, and has been met with widespread acclaim and approval. 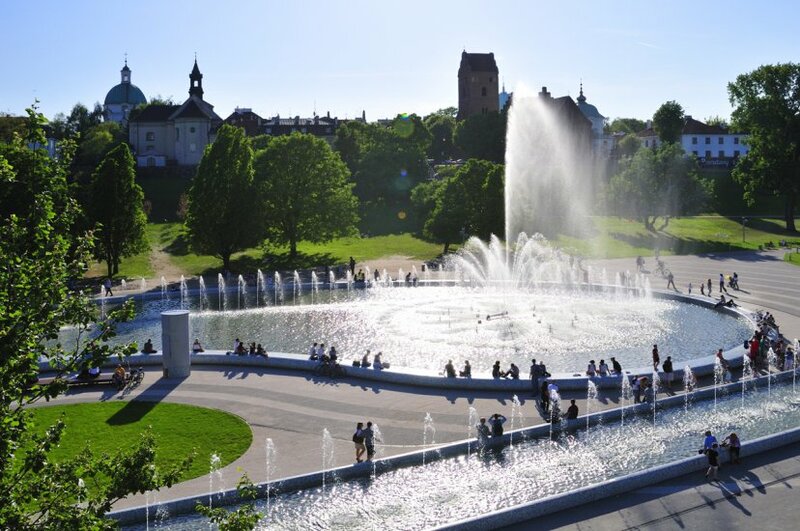 Located in the Podzamcze district a short walk north of the Old Town, the 'Multimedia Fountain Park' is a visual delight combining music, light and, as the name suggests, fountains. 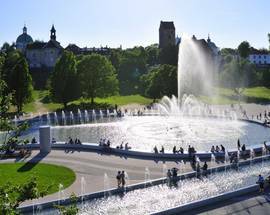 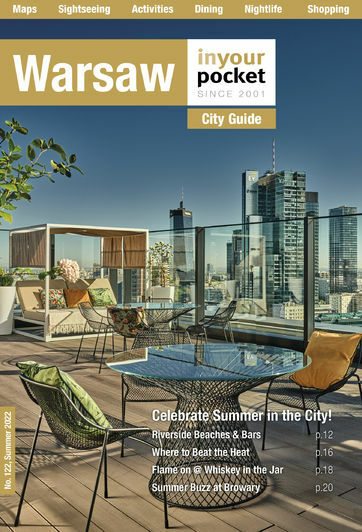 Built on the site of a derelict concrete pond, the fountain cost over 11 million PLN to create, and is part of a plan to revitalise this central Warsaw district by attracting visitors from the nearby tourist trail. 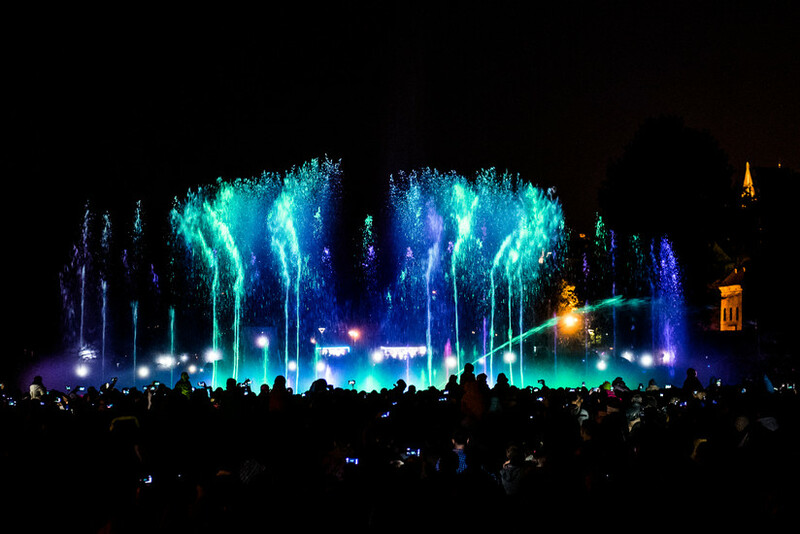 Featuring 367 nozzles which are capable of firing 800 cubic metres of water 25m into the air over the rebuilt, 3,000 square metre pond, the stunning visual show is provided by the fountain's synchronisation with 295 coloured LED RGB lights and a laser projector able to create visual effects such as Warsaw's iconic Syrena (Mermaid) moving through the water. 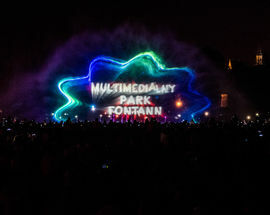 Perhaps most impressive is the remarkable clarity with which films - following themes such as Chopin’s Warsaw, Modern Warsaw or Legends of Warsaw - are able to be projected onto the wall of water, while accompanying music ranging from Chopin to Lady Gaga resounds from the surrounding speakers. 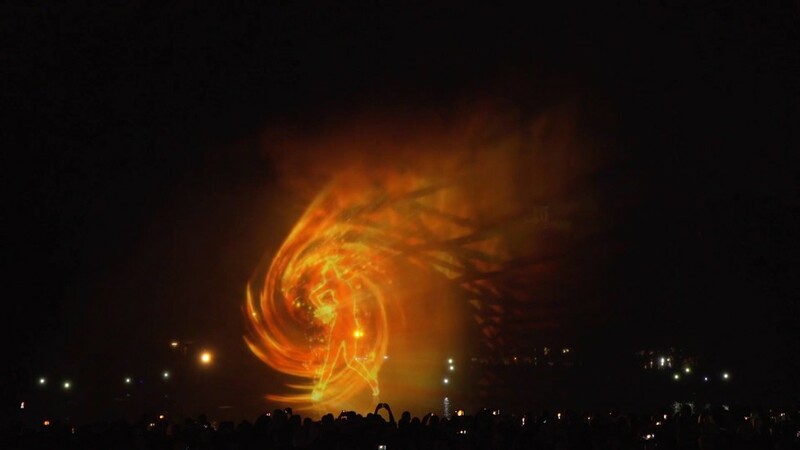 These multimedia shows have proved so popular that visitors are warned to stake out a position on the banked viewing terraces as early as possible in order to get the best views. 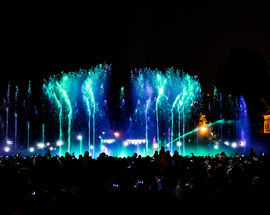 Though crowded it may be, we thoroughly recommend the experience. 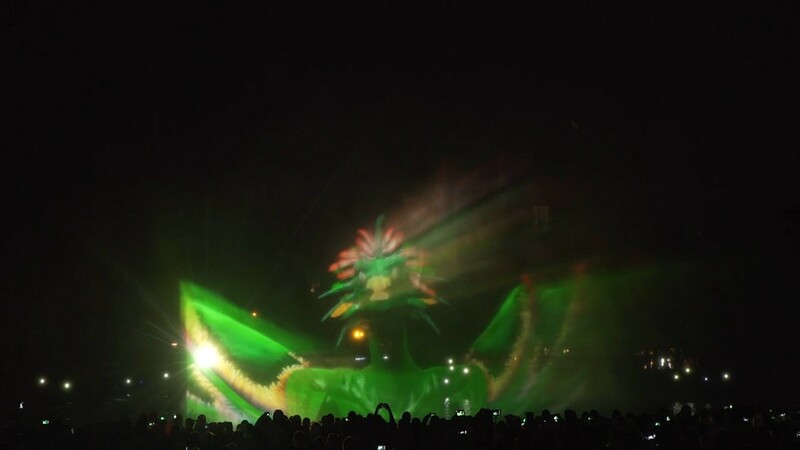 We recommend checking their site for availability as the weather dictates whether or not a show will go ahead. 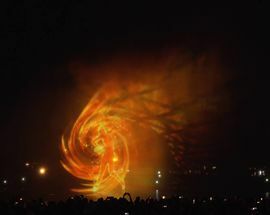 Shows take place Fri/Sat at 21:00 until 29 September.